Katievalencia wrote: I have a 10gal tank, nights are getting cooler here in the east coast, what heat source would you recommend and where to get it? worrying about fire hazard.. The best heaters are the Ultratherm. You can puchase it at reptilebasics.com or beanfarm.com. or on Amazon. Get a size that covers the entire back, above the substrate. It can overlap an inch. And these are the only ones that can be insulated. Flukers can also be insulated. Zoomed is also a very popular brand, but you can only insulate around the UTH. Insulating over top of it becomes a fire hazard. I used 11x11 Flukers for years on my old 10 gallons. We keep our house cold in winter and I never even had to insulate it, though it can be if needed! I keep my PP crabitat at an ambient temperature of 78°F, with a heat pad (w/ thermostat) located on one side of the tank set to 82°F. 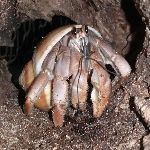 My crabs always seem active and eat well. I have two PP. one buried shortly after bringing him home and the larger one pretty much spends all his time next to the heat pad at the back of the tank. The temperature of my tank is usually around 72 to 76 degrees Fahrenheit. I wondering if I should try to get my tank warmer and then maybe he would be more active? Also what is the best UTH to get and where do I get it? Right now I have a Aiicioo UTH. Amlesa wrote: I have two PP. one buried shortly after bringing him home and the larger one pretty much spends all his time next to the heat pad at the back of the tank. The temperature of my tank is usually around 72 to 76 degrees Fahrenheit. I wondering if I should try to get my tank warmer and then maybe he would be more active? Also what is the best UTH to get and where do I get it? Right now I have a Aiicioo UTH. 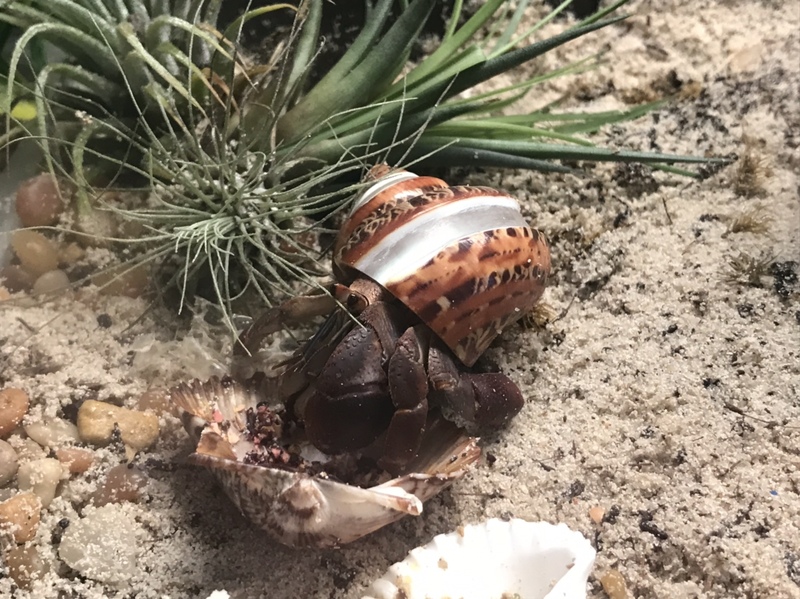 I, as well as many others, noticed that my crabs became more active after increasing temperatures to the low to mid 80s. I personally like Ultratherm, as it can be insulated to help further boost your temps. The best two places to get them are http://www.reptilebasics.com (cheaper) and https://beanfarm.com (more sizes). I think Amazon has them as well, but surprisingly they're more expensive on Amazon. I personally let my tanks go to 79 (low at night) to high of 86 during the day. I see my crabs all of the time. I have Ultratherms as well - and love them. I have ultratherms from both companies, and recommend the ones from reptile basics the best. 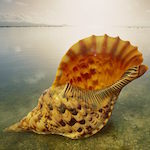 Beautiful little one, I love that shell! He/she reminds me of my crab, Salty, with it’s dark coloring. We have a 29G Tall tank and need recommendations for heating. Can anyone suggest the best option? Preferably something on the outside of the tank. Most of us recommend the uth (under tank heater) Ultratherm. It goes on the outside back of the tank. To cover the entire back of the tank from the top of the substrate up. You can find it at reptilebasics.com, beanfarm.com or amazon. You get the size that fits the back of your tank. 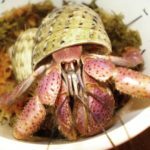 I am new here and in the crabs' world. I have 3 PP crabs, small. They look very passive. One of them I see almost every evening. But others - no. they a buried all the time. I did not see them for the last week. But as I can see a lot of digging traces. I worry a lot because 2 months ago I lost one of my crabby. I don't know why exactly. But that time I tried to use an orange warming lamp. After he died, I stopped to use it and bought the mat. Any thoughts/advises? Maybe I need to increase the temperature a little? Thank you for any bits of advice! Welcome! First, the HCA recommends 5 gal/crab. So a 10 gal is too small. Keep in mind they will grow. The bigger the tank the better. You can get good deals on craigslist and so forth. When you say coconut shells, do you mean eco earth? Coconut fiber? HCA recommends a mix of play sand and EE mixed with dechlorinated water enough to hold its shape. Sandcastle consistancy. And it needs to be a minimum of 6" deep. Or 3x the height of your largest crab. Whichever is deeper, wins. What type of lid do you have? What are you using to dechlorinate the water? What are you using to make salt water? Both water dishes need to be deep enough for them to totally submerge with a safe way in and out. Do you have a thermometer and hygrometer? The analog ones aren't accurate. Most of us use a digital one by Accurite. You can find it on amazon. A good heater is the Ultratherm. Found at reptile basics.com, beanfarm.com and Amazon. It should be big enough to cover the entire back of the tank from the top of the substrate to the top of tank. Those are the basics. Temp should be about 80°. They get sluggish when it's not as warm.